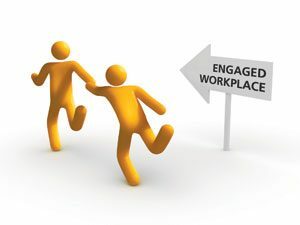 According to the Gallup organization only about 30% of employees in a typical American workplace are actively engaged in their job. The rest—70%—are benchwarmers taking up space, doing only what they are told to do and waiting for payday and Friday (my words, not Gallup’s). Interestingly, the percentages don’t change much because of age, education, gender or even income. People making more than $90,000 per year are no more engaged than people making less than $36,000 per year. Imagine that. Gallup has proved once again that pay is not a long-term motivator for most people. Is there something leaders can do to raise the engagement level? Yes. Employees will engage with their jobs when leaders engage with their employees. It’s that simple. So if you are the leader, it’s up to you. Try this: sit down with one of your unengaged employees, ask how you can help him, listen (really listen), ask questions, act like you owe her as much as she owes you. Do it with somebody else tomorrow…and the day after…and the day after…. Is it worth the effort? Yes! Imagine your competitive advantage and improved productivity if you can increase your engagement level to 40% or even 50%. Why don’t you get started today?